For maximum cubic capacity, Montracon offer the double deckers available either as a straight frame or the more popular step-frame design. 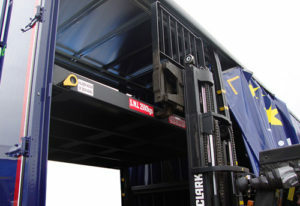 Numerous deck options can be specified from the ractchet deck version to fixed, swivel and butterfly options. 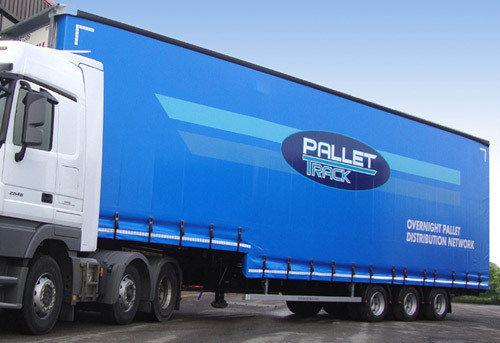 The sloping front design equipped as standard offers a reported fuel consumption saving of up to 10% against a normal curtainsider of the same overall height. The double deckers with wrap around curtains option is ideally suited for pallet hub operation. 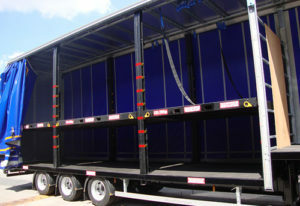 By also removing the rear doors and making the rear bulkhead solid makes a considerable difference to payload and to the fuel efficiency of the trailer. As the external curtains pull all the way back and wrap around the rear of the trailer, in turn this creates a larger loading area which is much easier to load and all the space on the decks can be utilised rather than impeded by the drawn curtains. 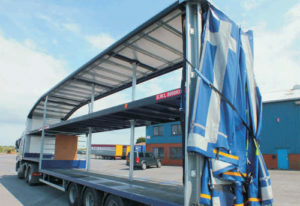 Bolted construction – to facilitate quick and easy repair of accidental damage – plus a five year chassis/body warranty round off an overall package that in total adds up to a trailer that has an enviable, proven performance record across the road transport industry.